Get in on the action! 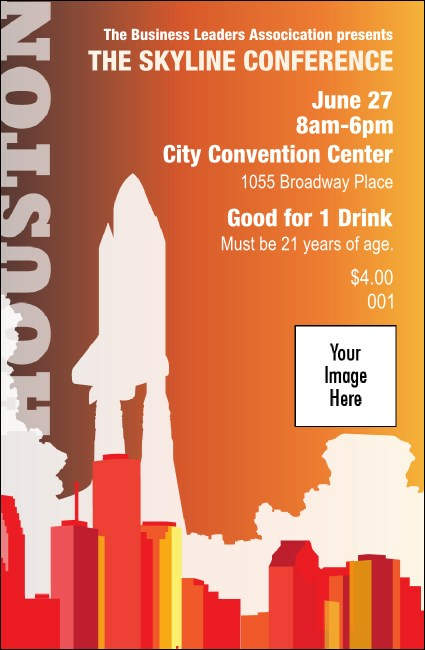 It's all happening in H-Town, and the Houston Drink Ticket, with a cityscape inside the silhouettes of active figures cycling, skating, dancing, and playing ball, brings that activity to life. Bright red, white, and blue drink ticket keeps your the energy level running high, all night long. Accomplish more for your organization when you choose the right local Yellow Rose Drink Ticket from TicketPrinting.com.